Let us guide you in discovering the essence of the multifaceted universe that is Argentina and its neighboring countries. Whether it’s the endless landscapes of Patagonia, the millenary culture of the Altiplano, the award-winning wine regions of the Andes, the vibrant cities or the most exotic beaches, design your escape with us. Travel creates unforgettable moments with family. Our trips are crafted with family values in mind as well as activities planned for all ages. Let your children learn everything nature has to offer, while the adults relax at a beautiful lodge. Discover new cultures while enjoying great times together, whether it’s a candlelit dinner, a horseback ride, or a tour of the most remarkable cities in South America. Solo travel or with company: Climb millenary glaciers, bike through infinite plains and hile where only few others have before. Here, every step is an opportunity to immerse oneself in unison with nature. Our signature itineraries through Latin America, designed by Miguel Frías invite you to unveil the experience of Latin American arts and culture in its deepest sense: a path of continuity and interruptions in its history and its evolution into independent societies and nations. Leave stress behind and relax in a cozy home away from home, in the Pampas, in the Andes or at the beach. Unplug yourself from your busy life and enjoy a private vacation, tailor made for you and your group. Incentive trips, business meetings, special interest groups, or groups of friends travelling together. Argentina offers excellent infrastructure and we provide the expertise for group travel. We are a team of travel experts based in Buenos Aires, who design and coordinate tailor-made trips in Argentina and our neighboring countries. We offer on-site expertise, insider access, creativity and attention to every detail. This hands-on approach makes all the difference to our clients. Argentina is home to some of the most fascinating wonders of the world. Its vast territory features landscapes and cultural sites that have been declared World Heritage, like The Glaciers, The Iguazu Falls, The Valdés Peninsula, and La Quebrada de Humahuaca. Discover the magic of Patagonia; enjoy a glass of Malbec in Mendoza or tango the night away in Buenos Aires: any of these options will undoubtedly provide memorable experiences and fun for all ages. 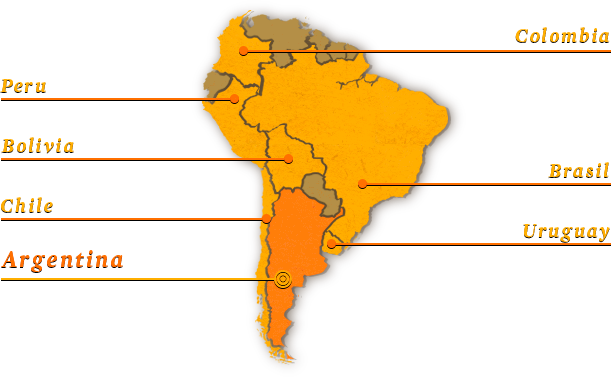 Argentina is a diverse and welcoming land, a pleasure to visit year-round. Take a look at the trips we offer and start dreaming of your next adventure.